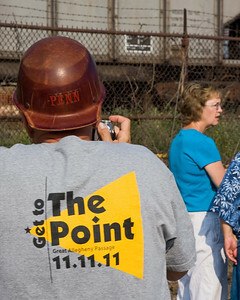 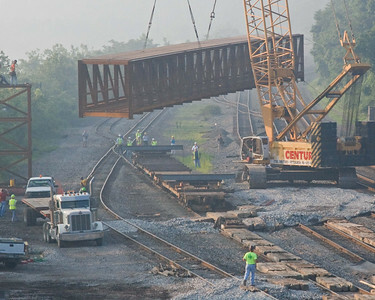 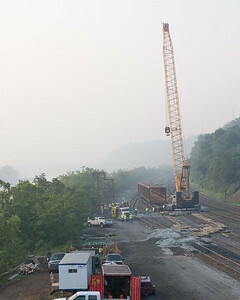 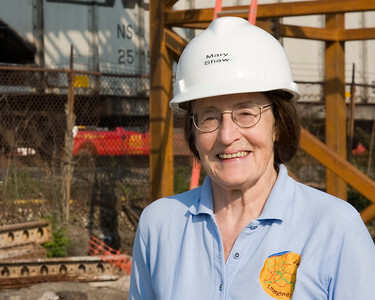 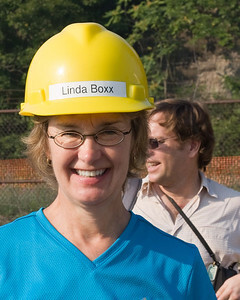 July, 2010From the Post-Gazette: Construction cranes eliminated two of the biggest obstacles to completing a 335-mile biking and hiking trail from Pittsburgh to Washington, D.C., a project that has been in the works for 35 years. 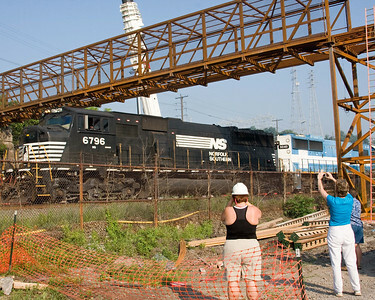 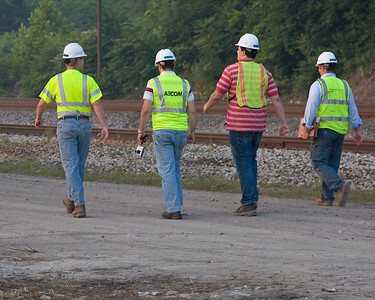 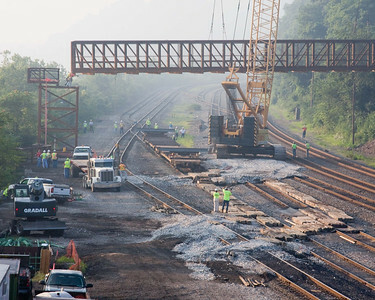 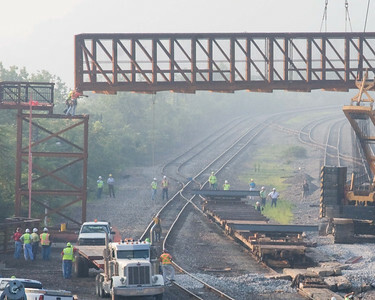 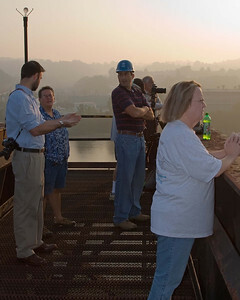 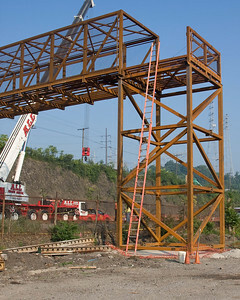 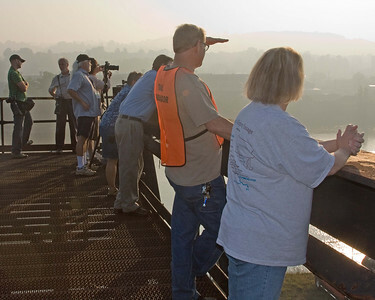 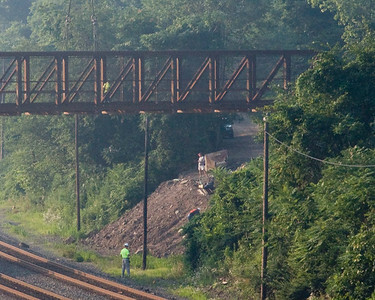 The two bridges erected on Wednesday are about 2 miles apart and will be connected with a trail along U.S. Steel's former coke gas pipeline, which the company donated in 2007. 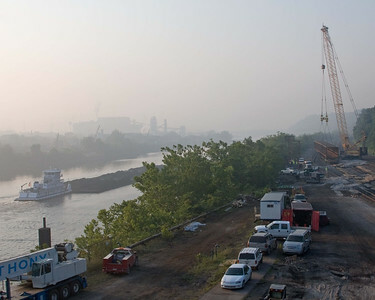 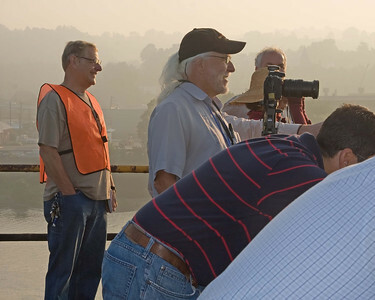 The segment will hug the hillside between Route 837 and the river, connecting to McKeesport to the south and The Waterfront complex to the north. 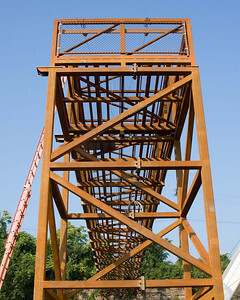 A little to the right!